Back in 2015, CBS briefly tried to get back into the superhero game with a Supergirl TV series; which subsequently moved to The CW. But now, the network is looking to try again with a potential drama series based upon DC’s Secret Six. Via Deadline, CBS has made a production commitment to the pilot episode of Secret Six. Rick Muirragui (Suits) is executive producing and writing the project. The proposed show follows “six morally ambiguous strangers, each with their own unique specialties and secret pasts.” The team is assembled by someone unknown to them, who proceeds to blackmail them into targeting corrupt politicians and corporations. That doesn’t sound quite like any previous incarnation of the Secret Six. E. Nelson Bridwell and artist Frank Springer created the first team in 1968 as a group of elite operatives led by the enigmatic Mockingbird. A second team was created by Martin Pasko and artist Dan Spiegle in 1988. But by far the most popular incarnation was Gail Simone and Dale Eaglesham, which was created in 2005. That team consisted of renegade villains including Scandal Savage, Catman, Deadshot, Rag Doll, Cheshire, and a rogue Parademon. Later members included Bane, Black Alice, Knockout, and even Harley Quinn. While it’s unlikely that CBS’ Secret Six will feature all of the characters used during Simone’s run, Scandal Savage could be an ideal character to bridge the two teams. And if CBS is selling this show on the power of DC’s brand name, then she probably wouldn’t be the only established hero or villain to appear. 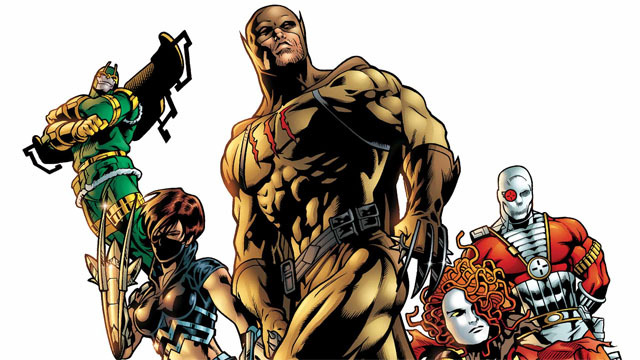 Which characters do you want to see in CBS’ Secret Six TV series? And who would you put on your team? Share your picks in the comment section below, and let us know what you’re thinking!